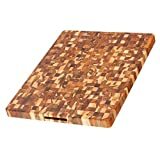 End Grain Cutting Board: Is it the Best Material for Your Kitchen? 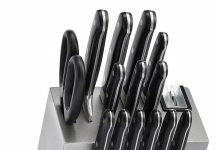 There are dozens of options when you visit a specialty shop for cutlery, cutting boards, and pans. You know you are there for a cutting board, so that narrows it down some. Then, you see so many varieties, ranging from an end grain cutting board, to edge grain, and flat grain. Then there's the section with plastic, glass, and marble cutting boards. The selection is overwhelming, and you don't know where to start or end your search. When deciding on wood-grain cutting boards, there are several characteristics to look for in a new end grain cutting board. The wood grain, finish, level surface, thickness, and sanitation are some of your first considerations. Then, of course, there's the price you're going to pay for something that's half decent. Don't fret. There are multiple products you can choose from when buying a new cutting board. So, begin the purchase process with budget and usability in mind, and go from there on your search. Step one in the purchase process is to select between an edge-grain and end grain cutting board. What's the difference? First off, let's take an edge-grain cutting board. Edge-grain cutting boards are thin, and best suited for presentation purposes. The boards gouge when cutting on them with a sharp knife. They're harder on blades than end grain cutting boards. They split, and tend to warp over time. End grain cutting boards have growth rings across them. The end-grain is aesthetically pleasing, durable, and has a rich color and texture. 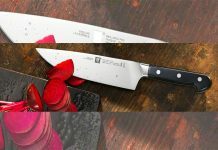 They aren't as harsh on knives and won't damage them as much as other wood grains or cutting boards. They're durable and sanitary. The boards are also resistant to nicks and can withstand heavy usage. For those looking for a cutting board with character and one that's durable, end-grain wood is a premier option. Another relevant factor in the decision-making process is the size of the cutting board to buy. The cutting board size will depend on what you plan on cutting on it. For example, a small cutting board is excellent for cutting fruit or smaller food items with a paring knife. On the contrary, when a chef's knife comes out, it might be time to opt for a large cutting board. 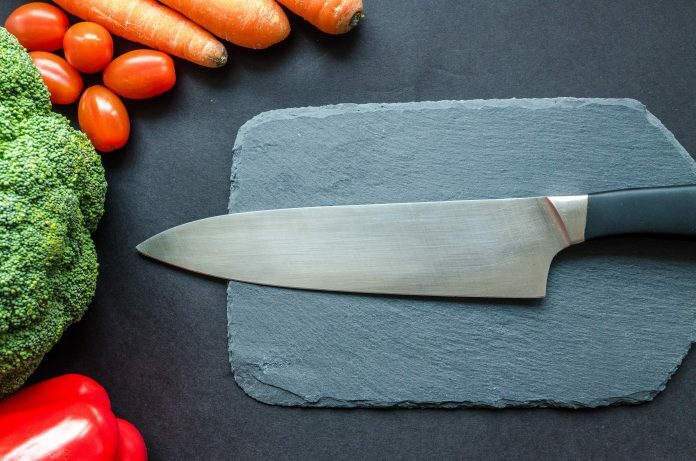 For an 8-inch chef's knife, a 12-inch cutting board, or broader, should suffice. Sanitation, of course, is another relevant factor to consider when buying an end grain cutting board. 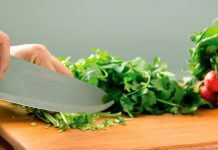 Contrary to what most people believe, plastic isn't the most sanitary material for cutting boards. Materials like bamboo, and other sturdy wood grains, are often the most sanitary options available. With an end grain cutting board, owners are cutting between the wood fibers. This design not only helps preserve the board's lifespan, but it is also more sanitary than other materials. They're durable and heavy and can withstand plenty of use in the kitchen. End grain cutting boards are more expensive than edge, flat, and other cutting boards. The size, wood grain, detail, and manufacturer of the boards will also dictate pricing. Several factors affect the price of the cutting board. One of these is where consumers purchase it. Before choosing a new cutting board, it's important to compare several products to find the best one. We reviewed several top end grain cutting board varieties. In our review, we detail the wood grain, the size of the cutting board, and usability. We also discuss how it preserves knives, sanitation, and the best uses for the cutting board. Furthermore, we discuss care instructions, and how to protect the end grain cutting board. In our reviews, we include prices as well as consumer ratings. This information provides consumers with an in-depth analysis of the top cutting boards. From there, it's easier for them to select the best one for their kitchen. Before investing in a new end grain cutting board, narrowing down the best products is something consumers should do. Doing this allows you to choose the best product for your kitchen. These are some of the cutting boards with the highest consumer ratings. The maple species cutting board has an end-grain laminate edge. Michigan Maple describes it as having a radius top and bottom and rubbed oil finish. It's also National Sanitation Foundation (NSF) certified, so you know that if you care for it well, it will be safe to use. The large cutting board is 20 inches long, by 15 inches wide, by 3.5 inches tall. The solid cutting surface is ideal for massive cuts of meat, or items that are difficult to slice through. The end-grain wood creates a rustic finish that looks great with any kitchen decor. It is safe for chopping and cleaving, and the board is suitable for most food preparation. In this review, the customer notes defects in the wood grains, before ever using the board. They also indicate there was a hole on the usable (cutting) side of the board upon arrival. The average ratings are 4.3 out of 5 stars on Amazon. The Acacia wood cutting board features a distinct pattern and natural contrast. This design differentiates it from other wood grains. Furthermore, it blends in naturally with other wood surfaces in the kitchen, as well as stainless steel appliances. The cutting board is thick and doesn't dull knives like other cutting board materials. The 20-inch by 14-inch by 1.25-inch size is suitable for several uses. It's perfect for meal preparation, chopping, or serving food at a party/event. The cutting board is also simple to clean. Owners can use a warm soapy water blend to wash the board. And, after washing it, the board can air dry to prevent cross-contamination (rags or wiping cloths). This reviewer states the wood had scratches on it and didn't come in a plastic cover (as description notes). They also indicate the cutting board is very light and isn't suitable for cleaving or heavy-duty cutting. It has ratings of 4.0 out of 5 stars on Amazon. This end-grain butcher block features a teak wood finish. It is an extra-large cutting board. The size is 24 inches by 18 inches by 1.5 inches. It is perfect for chopping, cleaving, and for display or preparation. The gorgeous teak preserves itself naturally and doesn't dull or wear out kitchen knives as quickly as other wood grain. The wood comes from sustainable, managed plantations. The cutting board also features low-profile hand grips on the sides. This design makes it simple to grip the board and makes it highly portable. Furthermore, it's perfect for serving guests at a party or gathering. This reviewer states there was visible warping on the end grain cutting board. They indicate the quality is inferior to other wood grain finishes and materials. The average ratings are 3.9 out of 5 stars on Amazon. This maple cutting board is large, at 20 inches by 15 inches by 2.25 inches in size. Additionally, it is reversible, meaning owners can chop, cleave, and serve foods on both sides of the cutting board. The end-grain construction preserves itself well, and it looks spectacular. Owners can use it for preparation, as well as for display purposes in your kitchen or home. This board also features reversible, integrated hand grips. The design is ideal for food service at a party or gathering. The manufacturer produces the cutting board in the USA. Both sides of the chopping board are flat, making it suitable for slicing, chopping, and meal preparation. Sanitation isn't an issue either with the wood grain material. Several consumers complain about the quality and durability of the end-grain wood. One reviewer states the cutting board split shortly after buying it. The ratings are 3.4 out of 5 stars on Amazon. The super slab cutting board features finger grooves as well as hand grips on either side of it. It is 20 inches deep by 20 inches wide, and 3 inches tall. The thick grain material makes the cutting board perfect for preparation and food service. The end-grain material also has an oiled finish, which creates a distinct appearance. Finger slots on the sides of the cutting board make it easier to grip and hold it in place. The manufacturer produces the cutting board in the USA, and it weighs over 30 pounds. So, quality and construction aren't areas of concerns that consumers have to worry about with this product. It has rounded corners and deep blended juice grooves. The design sets it apart from other cutting boards. 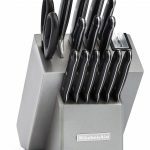 It's perfect for meal preparation as well as for display purposes. This reviewer indicates the color of the wood looks nothing like the product description. They suggest that the wood grain (picture) appears dark. However, their board was almost white. The average ratings are 4.1 out of 5 stars on Amazon. The cherry end grain cutting board is 20 inches by 15 inches by 2.5 inches in size. The end-grain finishes guarantee superior durability and an excellent cutting surface. The board is more sanitary than other grains, and knives don't dull as quickly as on other cutting board. The cutting board is cherry wood with a teak finish and includes a 100 percent lifetime warranty. The manufacturer also produces it in the USA. One reviewer claims the cutting board came with two gouges and cracks. For the high price of the board, they didn't expect damage/issues with the product. The cutting board is 20 inches by 15 inches by 1.75 inches and has food safe glue. It has a teak wood finish from wood grains from South America. 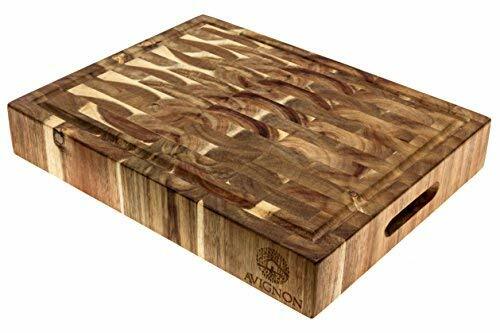 The sustainable teak is environmentally friendly, and the cutting board features a handcrafted design. The first-grade, lumber teak hardwood isn't going to crack, split, or warp like other cutting boards. It is perfect for food preparation and can withstand cutting with heavy chef's knives. It has two side grip handles as well. This design allows owners to use the cutting board for food service as well as preparation. One reviewer states the cutting board was warping and soon after they saw a split in the wood. For such a high price, the product should be a little more durable. The average ratings are 4.7 out of 5 stars on Amazon. The cutting board is 15 inches by 12 inches by 2.25 inches. It is smaller than some boards, making it perfect for meal preparation and light chopping. It also includes a serving platter so that owners can use it for dual purposes. FDA approval and an easy to clean surface ensures the sanitation of this cutting board. Cleaning with a warm, water soap bath after use is simple as well. After washing, owners should allow it to air dry. It is naturally anti-microbial and anti-bacterial as well. There are two flat surfaces, and the board has rounded edges. There's also a cream color finish throughout the cutting board. This design adds a touch of character and creates a visually appealing finish in addition to the sturdy construction. This reviewer indicates the cutting board looks great and functions as it should. However, they indicate there is a highly visible scratch on the cutting surface, detracting from the appearance. There are several excellent end grain cutting board varieties for consumers to choose. If you're ready to buy a new cutting board, you want the best product. For those who are on a budget, the Ironwood Gourmet cutting board is a great selection. The Acacia wood grain finish is light, without compromising on durability. The board looks great, is sanitary, and easy to clean after use. The multi-functional board is excellent for cutting, slicing, preparation, or for food service. Additionally, it's affordable in a market with similar cutting boards costing twice or three times more than it. If you're looking for the best product, regardless of price, there are also many varieties to consider purchasing. The best overall cutting board is the Backyard Dudes cutting board. This board is large and thick. Its rectangular shape is perfect for any kitchen space or countertop, and the manufacturer produces it in the USA. Also, they handcraft the cutting board, and it features a teak wood finish. The board is durable, sanitary, and doesn't dull kitchen knives easily. It's also thicker than other boards, so it won't nick or scratch easily. 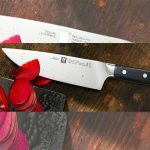 Next articleWhat’s The Best Knife Set of 2019? Find it Here.